Nebraska spring game, April 6. 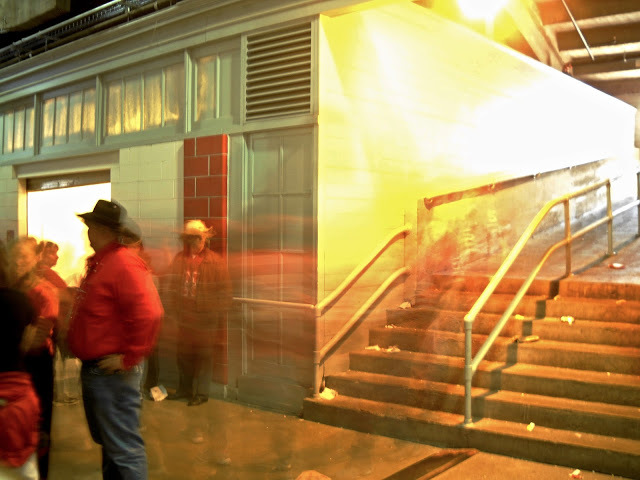 I was fooling around with our little idiot-proof digital camera, trying to de-idiot-proof it enough to take time-exposure shots around Memorial Stadium. This is what happened when I put it on the "Fireworks" setting and plopped the thing atop an ice machine. 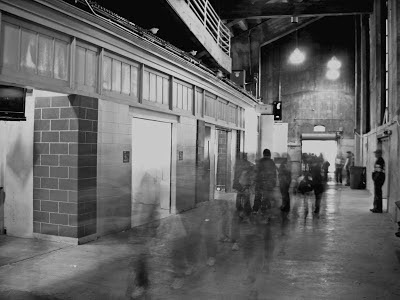 When I saw the ghostly images of the passing crowd, it reminded me of what I see in my mind's eye whenever I find myself in an old church -- the generations upon generations of the faithful who sat in those pews, most of them now departed. It's much the same thing with college football, isn't it? And the choir eternal sang "There is no place like Ne-braaass-kaaa, dear old Nebraska U. . . ."